/ Are asiatic lilies poisonous to dogs ? While you can find a lot of information about peace lily or calla lily, there is almost nothing about asiatic lily. This beautiful flower type is common thread to cats, but again, there is not enough research shared about its dangerous effects to dogs. 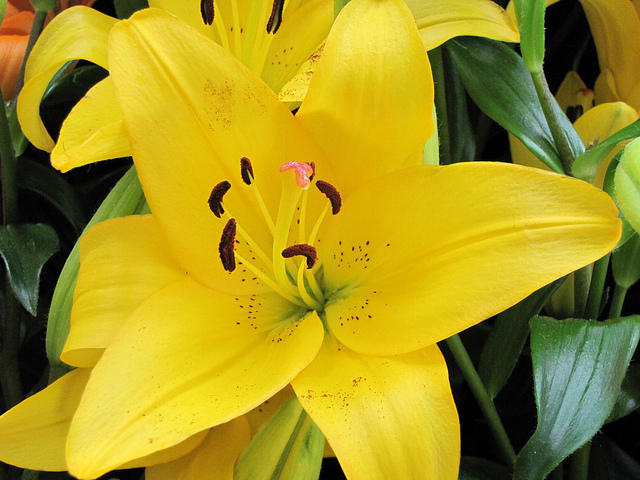 According to ASPCA asiatic lilies are not toxic to dogs. Next day, feed her three or four small and light meals consist of poultry or fish. Avoid highly processed “food” from stores. If her condition starts to improve, gradually add normal food throughout next days.